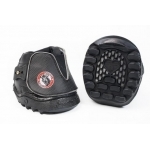 A SINGLE Equine Fusion Active Hoof Boot. 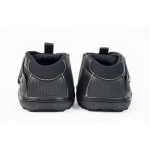 Only 1 x Equine Fusion Active Jogging Shoe is supplied. 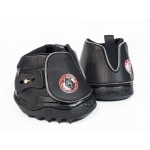 Please choose which leg you require the boot to fit as the fastenings for ease are on the outside of each hoof boot. The Equine Fusion Active Hoof Boot features the famous All Terrain tough wearing thick rubber sole with an easy, smart and smooth design. Ideal for horses with round or almost round shaped hooves. The Equine Fusion Active Hoof Boot / Jogging Shoe is sold as a SINGLE BOOT and combines the best elements from the Equine Fusion Range. 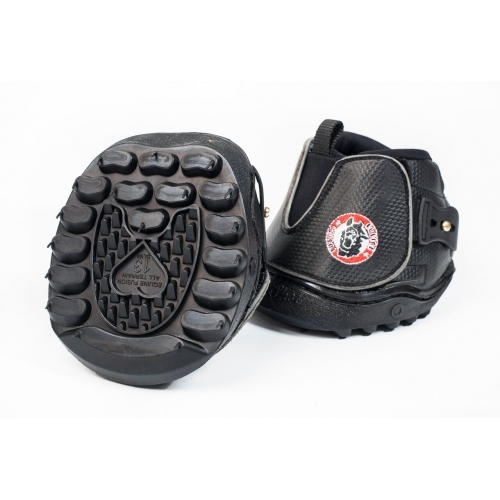 They will provide excellent grip on tarmac, off-road as well as in snow or in muddy terrain. Supplied in SINGLE / 1 X BOOT. You can choose either a right, left or a pair of boots in the above drop down menu. Equine Fusion Active Hoof Boot features are as follows - See Additional Images! Equine Fusion is a Norwegian company which since 2005 has developed a new type of horse boot, a flexible, light and durable Jogging Shoe that protects the horse’s hooves from shock, wear and unnatural pressure. 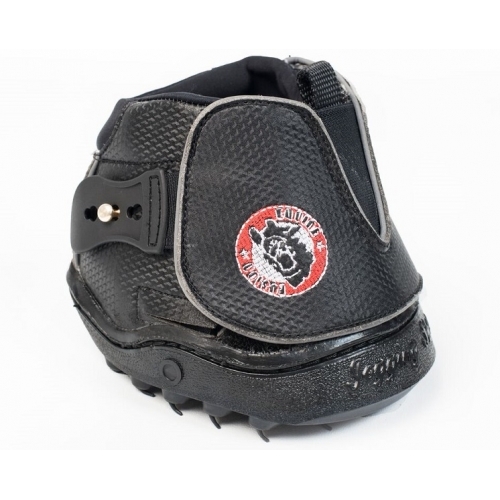 The Equine Fusion Jogging Shoe Active - a new dimension in hoof protection and hoof boots / shoes. The world's first jogging shoe for horses!